Two types of tissue surround your teeth. Gingiva or (gum) is the first type we will discuss. It is pink in color and thick and appears dense under a microscope. This tissue forms a tight seal around your teeth and serves as a layer of tissue that blocks bacteria from penetrating the underlying bone. It also serves as a shield to protect teeth from the trauma from brushing, eating and other things that would cause damage. The second type of tissue, (mucosa) which is found directly below the gingiva, is a thin red layer of tissue which appears loose under a microscope This tissue does not seal securely around your teeth, and is easily damaged by trauma. Over time recession of the gingiva occurs, and protection is lost and the natural defenses against bacterial penetration and trauma have been decreased. In this situation, no healthy gingiva remains to protect the tooth, and professional treatment from a dentist like Dr. Jorge E. Larrondois necessary. No matter how meticulously the patient tries to control the bacteria, there is a greater chance of it penetrating and affecting the underlying supporting bone around the tooth. Many patients who have and are experiencing gingival recession often have root sensitivity to hot and cold foods and are noticing unsightly appearance to the gum and tooth. 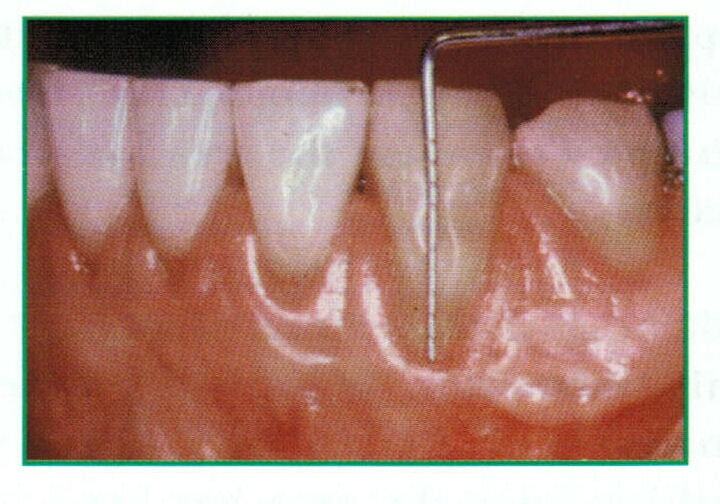 At this point a gingival graft is necessary to treat this problem. Dr. Jorge Larrondo graduated from Loma Linda University Dental School in 2004. Prior to studying at Loma LInda, he attended Pacific Union College in Northern California. He has been practicing for over 5 years. Dr. Larrondo utilizes his extensive training and experience to treat gingival recession and generally extracts thin pieces of tissue from the roof of the mouth, or gently from other adjacent areas, to provide a stable band of attached gingiva around the tooth. During this procedure tissue is placed to cover the exposed portion of the root. The gingival graft procedure is highly predictable, and the results restore the tissue around the tooth and natural appearance. For additional information about Gingival Grafts, contact Dr. Jorge E. Larrondo at 951-925-6596 and request a consultation to review your curtain situation.